Our celebrity quote is coming from up high today! The Drove! Coming January 1st, 2014! Warn your friends! Hide your daughters! 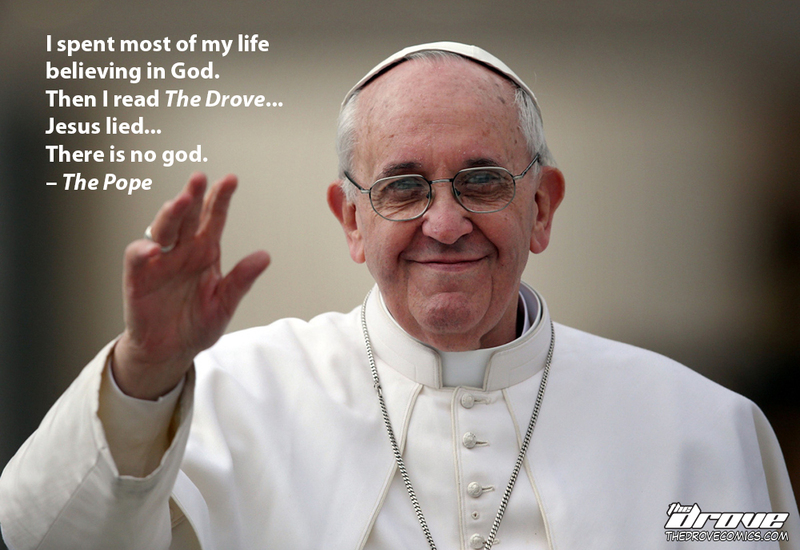 This entry was posted in Real Celebrity Quotes and tagged celebrity quote, comic, drove, pope, real celebrity quote, sci-fi, thedrove, thepope, webcomic. Bookmark the permalink.